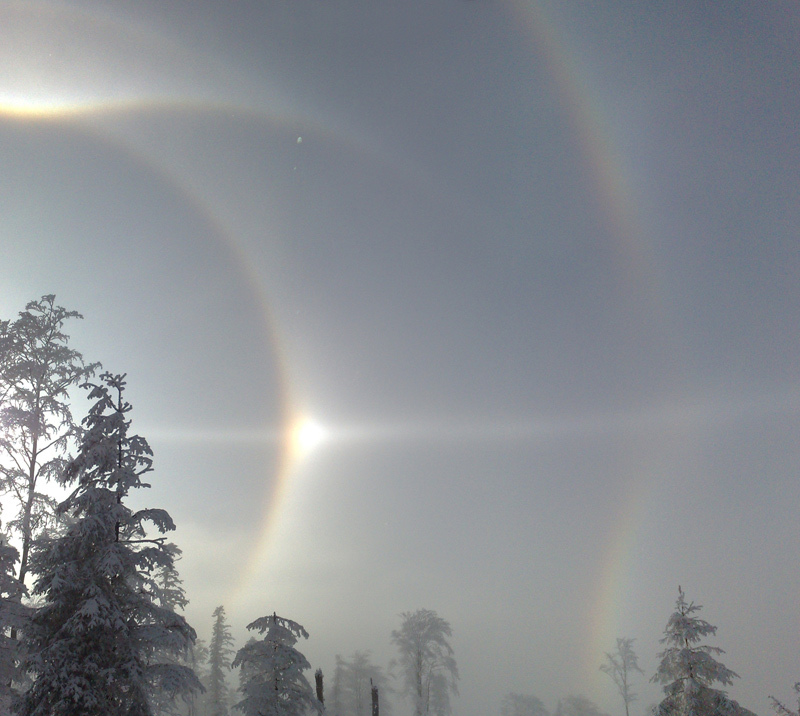 On 15 January Marcin Matusinski from Poland observed one of the best Polish halo displays. It was visible on a ski slope on the Male Skrzyczne Mountain in the Beskidy Mountains (elevation about 950 m). 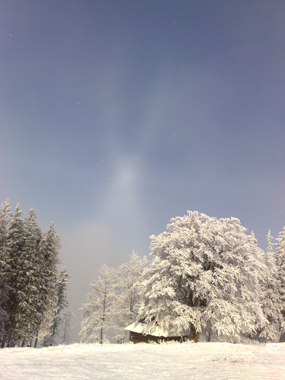 The crystals originated from the snowguns. The display lasted almost the whole day. The conditions were unstable but they were the best about 10:20 a.m. when the Sun altitude was 13,5 degrees. 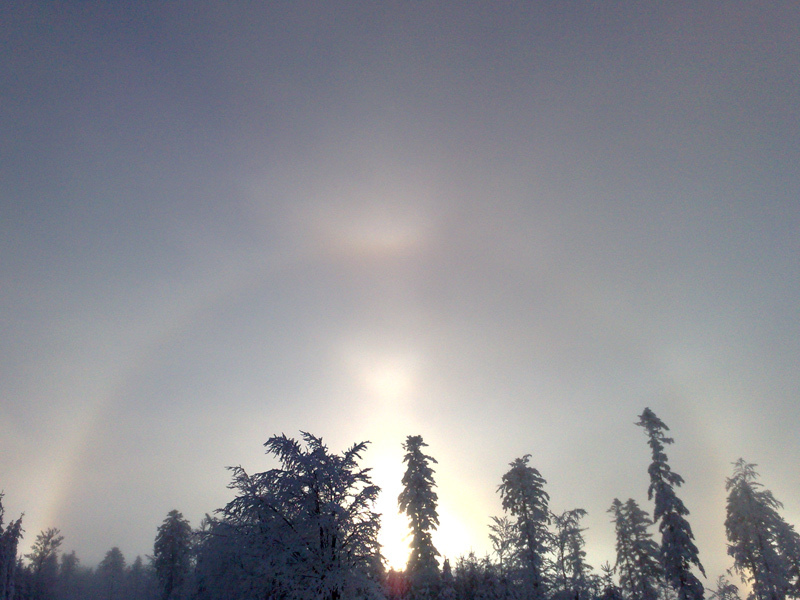 In the morning the Moilanen arc could be observed ( 1 ). 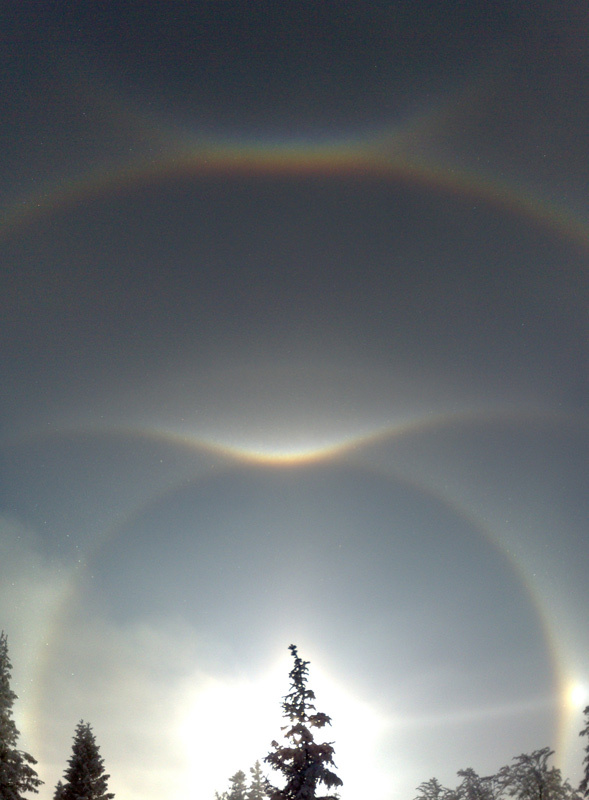 Later, in addition to the more usual phenomena, there were parhelic circle, Parry arc and infralateral arc ( 2 - 3 ). The most interesting was the anthelic with Tricker and diffuse arcs ( 4 ). Nice, and more photos for Hastings area??? Great display. I like the foggy feel here. Very nice indeed! images 2 and 3 are my favorite. I can see in image 3 faint wegener and helic arcs.